Any household or business comes to a halt within a few hours of septic system breakdown. We offer emergency septic repair services in Kapowsin to prevent this from happening. Whatever the reason that makes you call us for emergency septic pumping & cleaning services, rest assured that you have brought in some of the best people in the business. 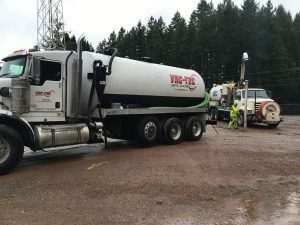 Our septic company has invested in state-of-the-art septic trucks and top-line equipment for sewage storage tank pumping. We employ well-trained technicians with years of experience in doing pre-scheduled as well as emergency septic pumping & cleaning work. 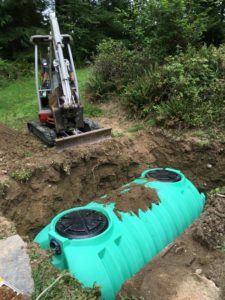 With us on the septic tank pumping job, your septic system and property are in safe hands. Taking your septic system for granted is a big mistake that can lead to a lot of mess and stress. As a property owner, it is your responsibility to be aware about – How often should I pump my septic tank? Depending on the size of the tank and number of people living/working on your property, it can be between every 3-5 years. VAC-TEC LLC. is the expert to call for emergency septic repair or emergency septic pumping & cleaning in Kapowsin. Dial (253) 777-4887!